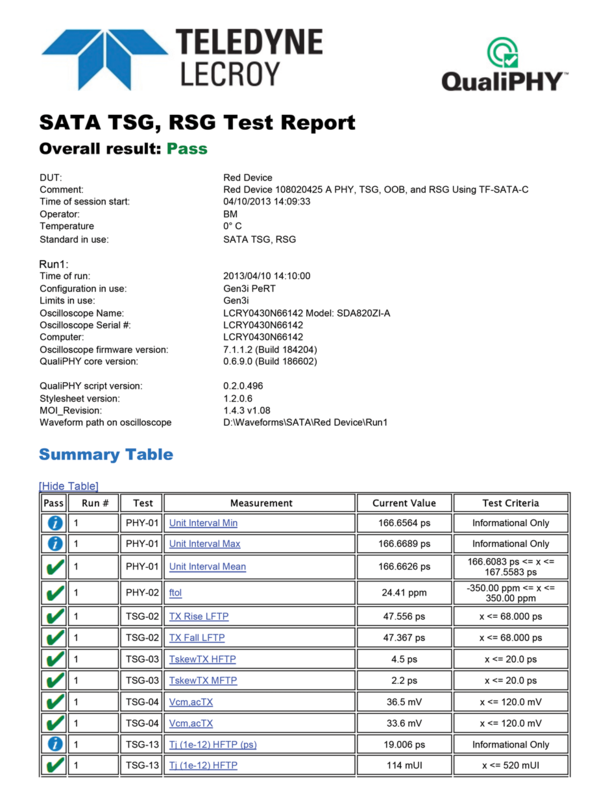 QPHY-SATA-TSG-RSG is an automated test solution for SATA compliance testing to be used in conjunction with the PeRT3. 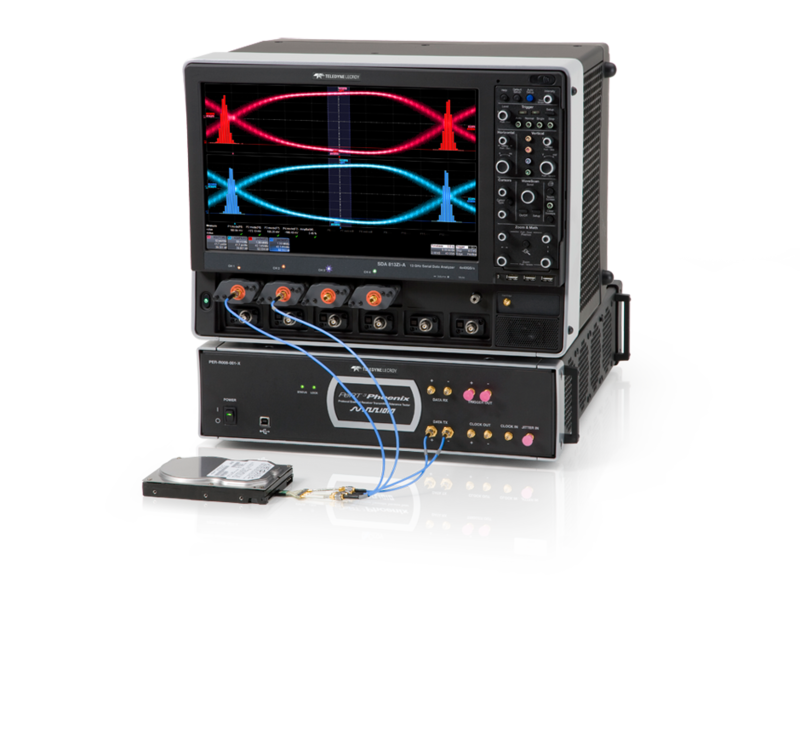 By leveraging the capabilities of both the oscilloscope and the PeRT3, QPHY-SATA-TSG-RSG can automatically perform all of the PHY, TSG, OOB, and RSG tests as described by the SATA UTD 1.5. Furthermore, QPHY-SATA-TSG can be configured to test Gen1, Gen2, and Gen3 SATA PUTs. The PeRT3’s unique protocol awareness allows for QPHY-SATA-TSG-RSG to easily connect the PeRT3 to the PUT and place the PUT into loopback. Once the PUT is in loopback, QPHY-SATA-TSG-RSG can automatically configure the PUT to output the proper test pattern and rapidly test the PUT. Additionally, by using QPHY-SATA-TSG-RSG the oscilloscope can effortlessly be used to calibrate the PeRT3’s output for both the OOB and RSG tests. For SATA testing a test fixture is required to connect the PUT to the oscilloscope running the QPHY-SATA-TSG-RSG software and the PeRT3. Teledyne LeCroy provides a test fixture (part number TF-SATA-C) to probe the PUT via a standard SMA connector interface. This test fixture is compatible with Gen1, Gen2, and Gen3 standards. Teledyne LeCroy also provides an ISI channel which is required for Gen1, Gen2, and Gen3 RSG testing.